Well.... maybe not those places. .... As a general rule, don’t follow the foot steps of Andrea. So order some Pizza Pizza like Turkoglu did heh. The Raps have to pay the man. Or at least give him a company credit card that's cool to rack up as much as he wants on food. You wanna give the guy a Go-Daddy commercial while you’re at it? 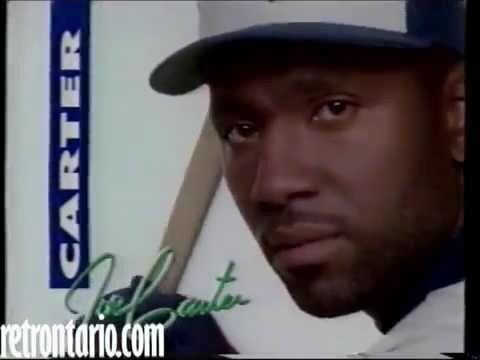 I will settle for a Milk commercial like Joe Carter did. Last edited by Demographic Shift; Sun Feb 10th, 2019, 04:59 PM. One more to get to 12, then eligible to officially award 10 day deals. Congrats Chris, now EAT! Just reading on the front article about the signing that Chris is averaging a block a game. His average playing time per game is 5 minutes. I think the first time he came out he hit 2-3 threes. He certainly dominated G-League. Can't have toooooo high expectations at the NBA level for a year or two. But I'm glad they locked him up. The kid deserves it. Hard worker. He is a guy you can play in certain situations. I like this, Boucher has all the tools. Also good nickname potential. Of the ones I've seen I like Treboucher best, or maybe the Boucher of Bay Street. Last edited by Scraptor; Mon Feb 11th, 2019, 04:26 AM.